Looking for a small pet? Let’s say the size of a rabbit or a small cat minus the fur. 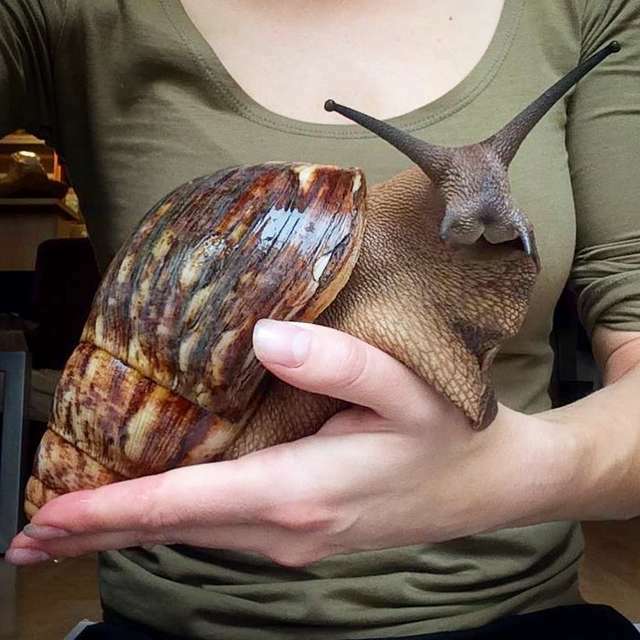 How about a giant snail? 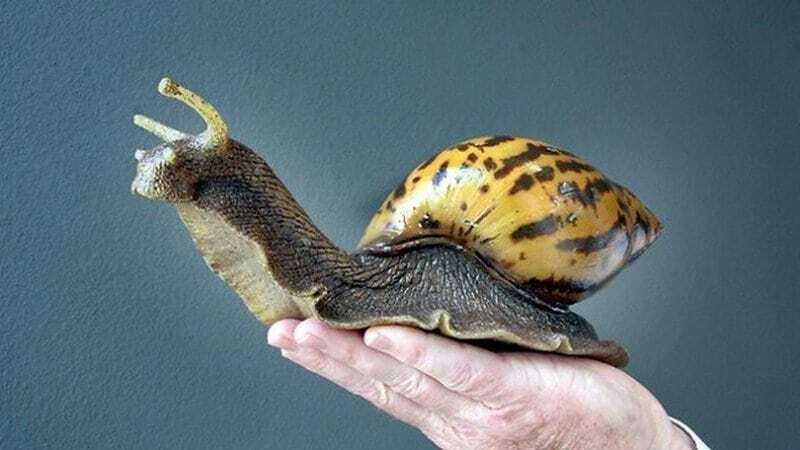 Yes, giant snails do exist. It sounds kind of icky but they’re actually kind of adorable. They look like regular snails that ate those “Eat Me” cakes from Alice in Wonderland and became enormous. It’s a pretty bizarre sight to behold. 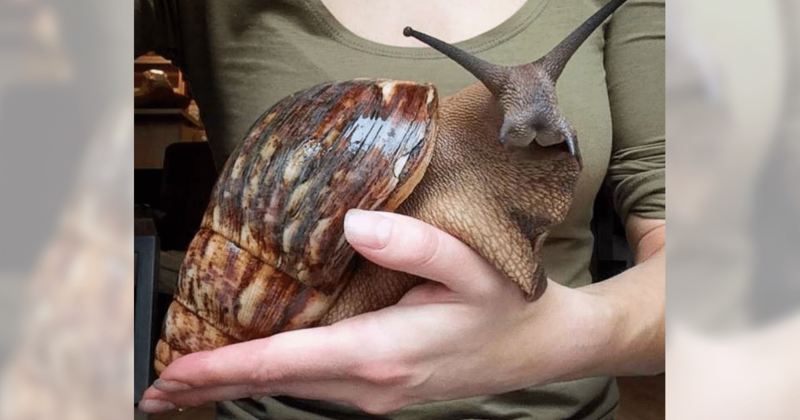 They are called African land snails. 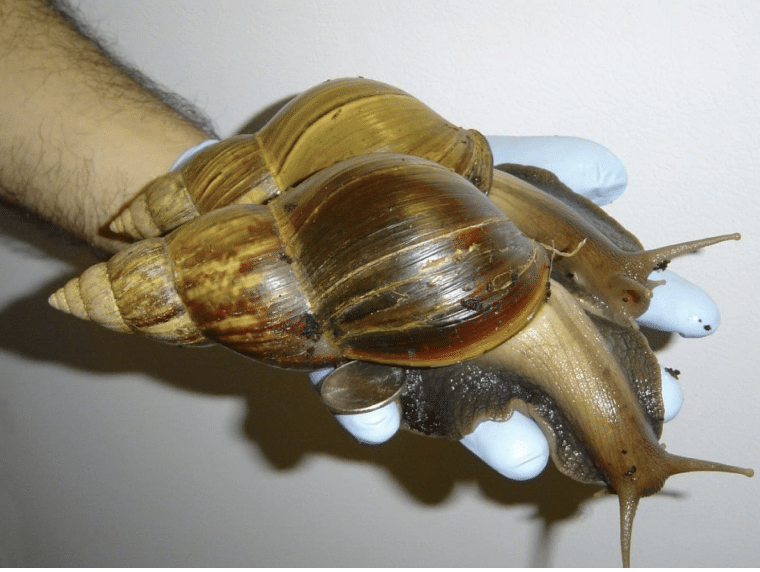 According to the Washington Post, these giant snails are native to East Africa and came to the U.S. as pets and educational props in 1966, the United States Department of Agriculture reports. They can grow to be around 8 inches in length and 5 inches in diameter. So, basically they can be the size of your face or hand. But as cute as these guys look, they are extremely harmful to humans and the environment. 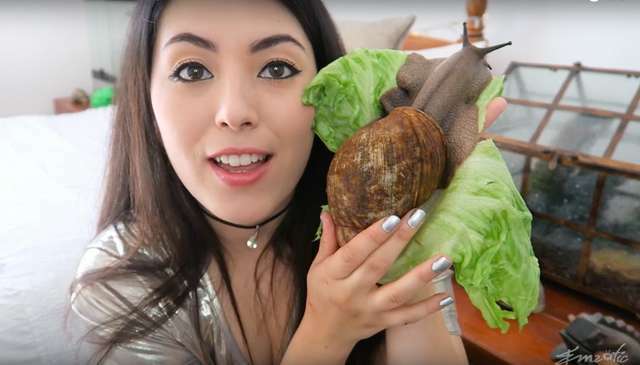 These giant snails actually became a huge problem in Florida. People started buying them as pets then releasing them into the wild in the 60s. They’ve been known to sneak through on imported cargo and have even been imported for food. 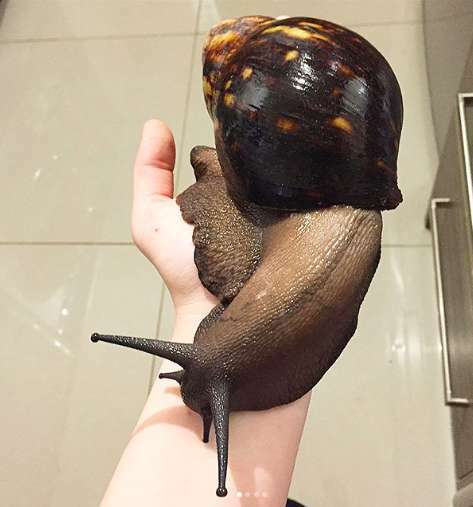 The problem is that the snails love to eat. They consume about 500 different types of plants like peanuts, beans, peas, cucumbers, and melons. They’ll also eat ornamental plants, tree bark and can eat straight through stucco and plaster structures. So, they can do a lot of damage. 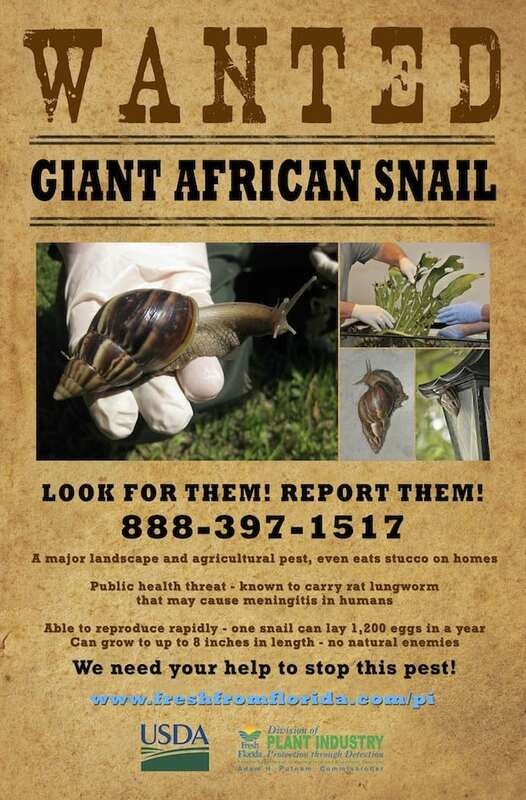 It took Florida 10 years and $1 million to eradicate their Giant African Snail problem only to have them be reintroduced in 2011. Eventually, they got rid of them again and the last snail sighting was in December 2017. “Luckily, we were able to catch this early and were able to keep them out of the agricultural areas,” Christina Lawson, the department’s public information director, told The Dodo. Some of these guys also carry a terrible parasitic worm, known as a rat lungworm parasite. These nematodes burrow into human skin and cause meningitis. The infection isn’t life-threatening to humans but those who pick the snail up risk being infected by the parasite. These guys also like to reproduce as much as they like to eat. They produce about 1,200 eggs in a single year. Snails contain both male and female reproductive organs so they can mate whenever they come across another snail. They can produce between 100 to 500 eggs after a single mating. They can even reproduce several more times without mating again and can generate clutches of eggs every 2 to 3 months. They are currently found in Florida and Hawaii in the U.S. 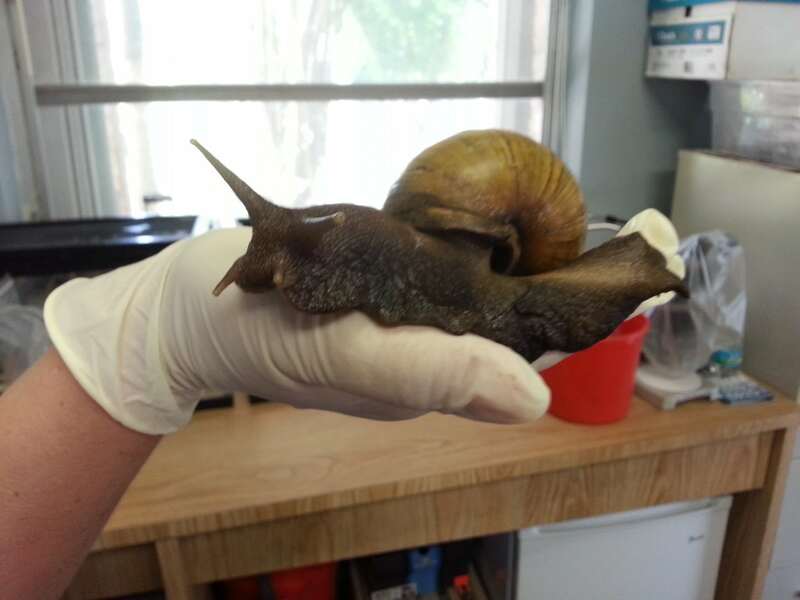 These snails are so unconventional looking that when they returned to Florida the Department of Agriculture had to warn that the giant snails were in fact very real. Check out one of their public service announcements below.